When “forcing” bulbs for early bloom, you trick the bulbs into thinking that winter is over by exposing them to the requisite amount of cold, which varies for different kinds of bulbs. Brought indoors in winter to warmer temperatures, they can then blossom out of season. The bulb that I bought was a “paperwhite” daffodil, a species (Narcissus tazzeta) that originated in warmer regions of the western Asia. In those warm regions, paperwhites evolved to flower without needing to experience winter cold. So buy one of these bulbs in autumn, pot it up or put its base in water, and bingo, flowers soon appear. Except for the paperwhite that I purchased. 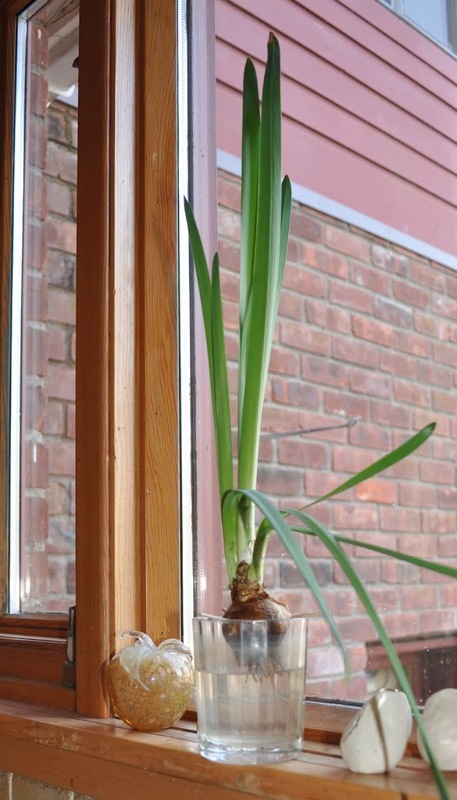 That bulb just kept growing leaves, an indication that last year’s growing conditions were not good enough — insufficient light, fertility, or water perhaps — for the bulb to divert energy into making a flower bud. The present bulb is the second one I got from the same bin this past autumn. After the first one showed no sign of flowers, I went back to the store, explained why, as long as the bulb grows, it should make a flower, and received a second one free of charge. I figured the first bad bulb was an aberration. It wasn’t. I’ve been watching leaf after leaf unfurl on the second dud for weeks and weeks. In an effort to make my farmdening even more sustainable, I’m swearing off peat moss, or hoping to. Peat moss is the partially decomposed remains of plants, mostly sphagnum species. In the garden or farmden, peat moss is very useful for improving soil aeration, and water and nutrient retention. Mostly, these benefits are put to use in potting soils to help roots in their rather limited growing space. My home-made potting mix, which I’ve made for over 30 years, is 1/4 by volume peat moss (the other 1/4s comprised of garden soil, perlite, and compost, and a bit of soybean meal and kelp meal for added nutrients). Use of peat is unsustainable because its mining outstrips its rate of formation. Peat accumulation can occur at a snail’s pace: an inch or so per thousand years. Peat develops under boggy conditions and to mine it, the bog must be first drained. Air replaces the water and the result is that some of the carbon stored in peat is oxidized to carbon dioxide. And we all know what that does. As a final blow to sustainability, draining and mining peat bogs upsets its unique ecological habitats. So must gardening and farmdening, both potentially sustainable practices for providing local food that can to be grown with minimal environmental disruption, be wedded to the use of peat moss? Not necessarily. 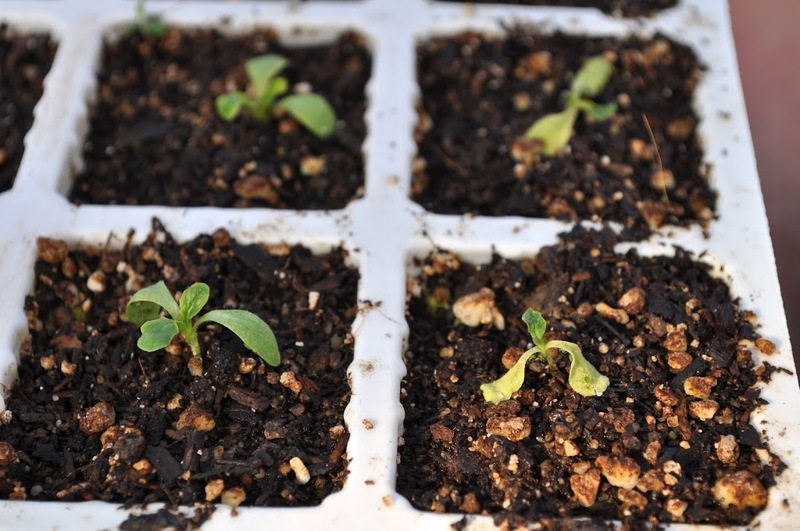 Other organic materials, such as compost and leaf mold, can fulfill the same functions as peat moss in potting mixes. They have the further advantages of being local and richer in plant food than peat moss. They have the disadvantages that you have to make the stuff, that planning is needed because you have to gather the materials and wait for them to “cook,” and that the final product may not always be consistently the same. A consistent, commercial peat substitute coming down the pike is coir, a renewable byproduct of coconut processing with characteristics very similar to peat moss. I’ve experimented occasionally with coir over the years and it seemed to work well enough. However, seedlings planted in a recent batch containing coir aren’t thriving. Anytime a component of a potting mix is changed, changes might also be needed in watering regime or fertilization. My guess is that watering is the problem since my potting mix has plenty of nutrients from the compost and soybean meal, and the symptoms — poor growth and leaves wrinkly but not off-color — don’t indicate any nutrient deficiency. The symptoms seem more like those due to poor root growth, possibly from excessive moisture. Or perhaps the soil or compost had some weak root pathogen that’s getting the upper hand. I need to sleuth out this problem soon because I’m about to make a large sowing of cabbage and its kin as well as peppers and eggplants. On the plus side, all this is some of what makes gardening so interesting. Any gardening questions? Email them to me at garden@leereich.com and I’ll try answering them directly or in this column. Come visit my garden at www.leereich.blogspot.com. This entry was posted in Uncategorized and tagged coir, daffodil, forcing bulbs, peat moss, sustainability. Bookmark the permalink. Trackbacks are closed, but you can post a comment. « HINTS OF SPRING – IN MY BASEMENT! Thanks for the tip. I’ll re-read your excellent book — a must for anyone interested in bulb forcing — more carefully. I used coir for the first time this year with half of my seedlings. All of those in the coir are stunted in growth, and I also suspect too much moisture.